Callnote enhances callers experience by adding the capability to record Skype for Web and Google Meet video and audio calls, shared screens and chats and also to take instant snapshots during the video calls. Options are available in Premium and Pro versions. Prepare your computer before recording to avoid re-recording and save editing time. The truth is video calls aren’t always high quality. They get impacted by a lot of different factors including how smooth and fast your system is running, your internet connection, and your microphone and camera quality. First, be mindful that it takes a lot of computer processing power to record video calls and run programs like Hangouts Meet and Skype for Web at the same time. To get the best results, turn off any unneeded application. It will help with overall performance of your machine. Secondly, make sure all notifications are turned off. Make sure your system audio gets recorded. Built-in mics work well for having a conversation, but they’ll disappoint in a recording. Consider using an external USB headset or microphone. If you have an external webcam, it may have a microphone built into it that will provide good enough audio. Make sure your guest’ s audio to be recorded as good as it can be. Consider recommending the other side of the conversation a mic or headset described above. Click Recording options tab – Google Meet to customize your recording settings. Select #Record Video if needed. Select #Reduce black borders.. If needed. Launch Google Meet / Skype for Web in your PC or Mac browser and start or answer a call. Click the red Capture button on Callnote widget and start recording. Once the call is ended you may find the recording made in Callnote Library. Library Tab is the place where you can preview the recording, make edits in audio and video or order a transcription and generate subtitles. Select the needed recording and start refining. Callnote offers good choices for your post-editing. 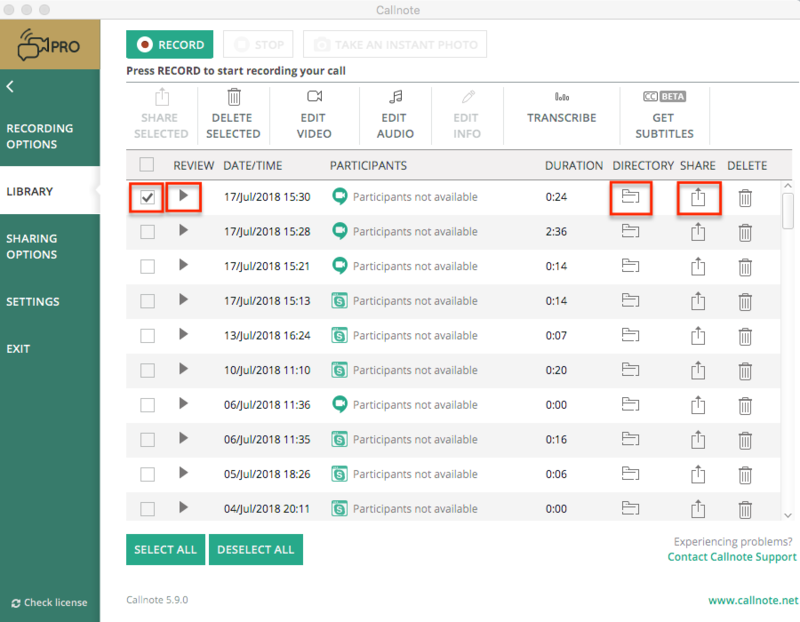 You can cut needless parts of the video, change audio stream or add some notes and titles to the recorded calls. Directory button redirects you to the folder where all Callnote recordings’ files are saved on your computer. 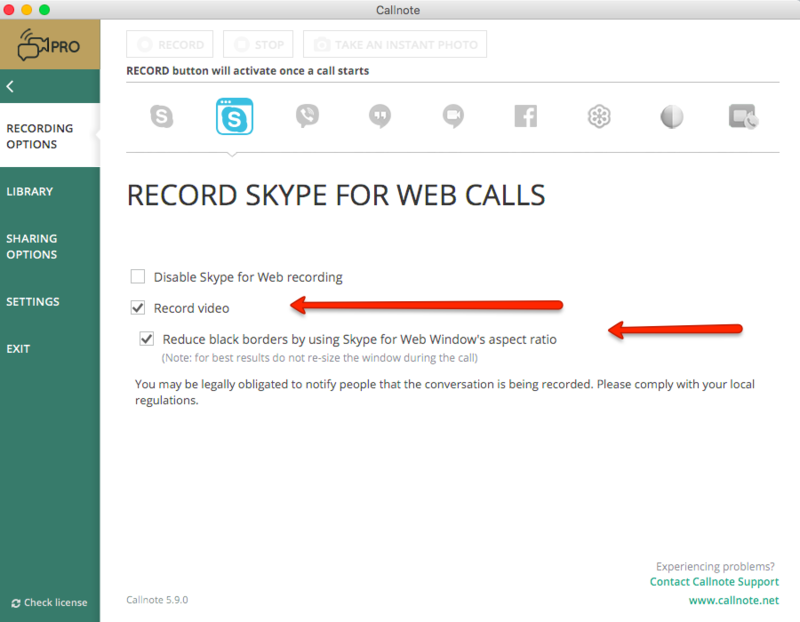 Callnote saves separate audio tracks for each guest in a Hangout Meet and Skype for Web conversation. Share Button allows you to forward video, audio, chat, snaps, transcription and subtitles files directly into your Dropbox account, Evernote, Google Drive, OneDrive, upload to YouTube or Facebook, and send in an email. Use the Sharing Options Tab menu to set up manual or automatic sharing options. You may find more on how to manage Callnote library in this blog post.